LiveOps, a premier virtual call center, currently has work-from-home call center opportunities available for people with customer service or sales skills. 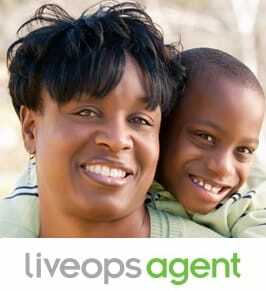 LiveOps call center agents are independent contractors who provide services to nationally-recognized companies. These opportunities are great for motivated individuals who want to be their own boss, set their own schedule and build a business from home! If you have a positive attitude, pleasant phone voice, and desire to work from home, we encourage you to Apply Today. Why Work from Home with LiveOps? LiveOps is a leader in the call center industry, providing legitimate work-from-home opportunities to people across the United States. With our free award-winning certification tools, cutting-edge call center platform, and supportive community of independent business owners you will have the tools you need to succeed. Don’t wait! Apply today and find your calling with LiveOps.